View all analog bullet cameras from DSC. 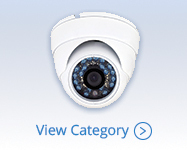 Cameras range from 420TVL to 1000TVL. Pair with Analog DVRs or Tribrid DVRs. Install one of DSC's high quality analog C-Mount cameras in areas such as parking lots, parking garages, distribution centers and more. Get a customized security camera when you pair a C-Mount camera with the lens you need. 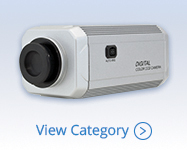 View 420TVL - 700TVL analog dome cameras by DSC. Color dome cameras are available in black or white, with infrared night vision capabilities up to 80ft. Fixed and varifocal lens models in stock. 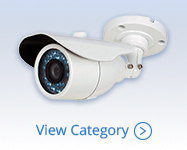 Keep an eye on outside areas as well as in with our IP66 and above weatherproof outdoor analog security cameras. 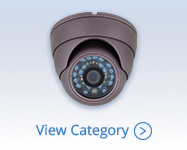 We have outdoor cameras in various styles such as bullet, dome and PTZ. Hidden (also called covert) cameras are great for situations when you don't want your subjects to know that they are on camera. Legality varies by state. 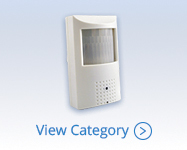 Choose an analog camera with infrared / night vision attributes for outdoor locations or areas that will not be lit 24/7, such as warehouses, garages, etc. 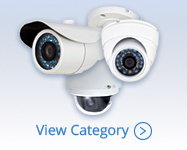 Choose from our wide variety of analog security cameras. At DSC, we carry multiple resolutions and body styles as well as analog cameras for specific uses such as outdoor or infrared.